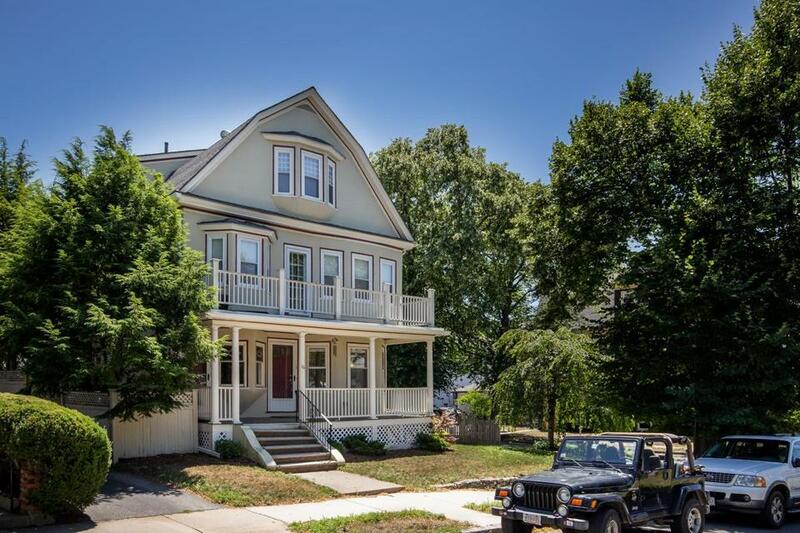 A Philadelphia-style condo and a six-bedroom Victorian at opposite ends of the Red Line. PROS Two blocks from the Minuteman Bikeway, this 1915 Philadelphia-style unit is on the first and second floors. Enter directly into the large living room with hardwood floors, bowed windows, and stained glass. 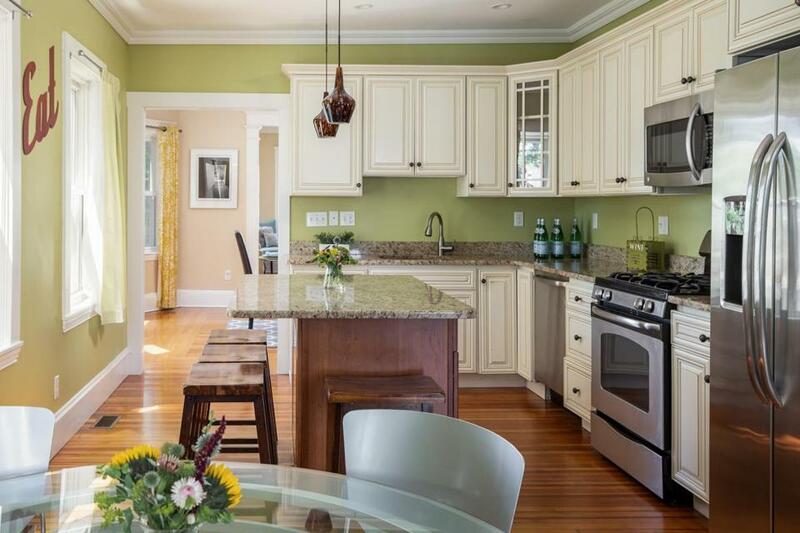 Past the sunny dining room with built-in hutch is the remodeled kitchen with stone counters, stainless appliances, and island. French doors open to a sunroom, and a mudroom leads to a patio, side yard, and two parking spots (one in the garage). Off the living room are a new full bath and a bedroom with two closets; up the stairs are two more bedrooms with roomy closets, and a half bath. CONS This property is under agreement. 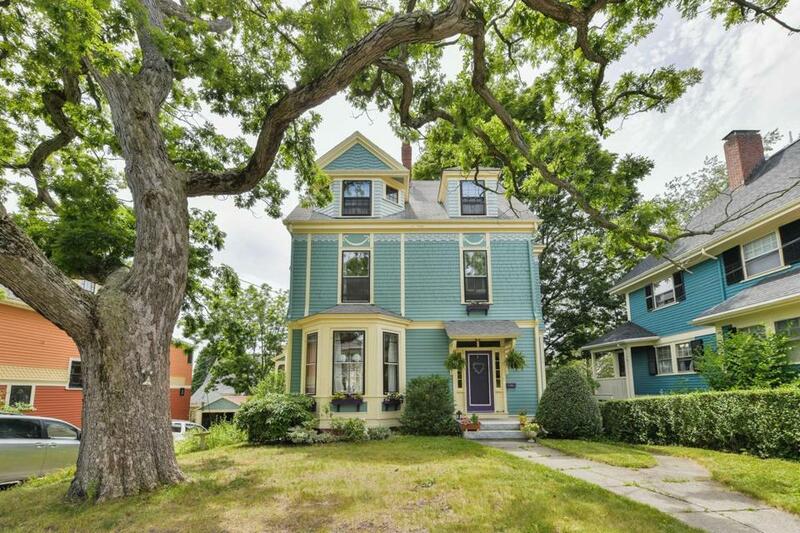 PROS This stately 1886 Victorian is around the corner from Ashmont station, with original details like parquet floors and pocket doors. To the left of the grand foyer is a living room with fireplace, while the kitchen at back opens to a rounded deck; nearby is a newer bath. 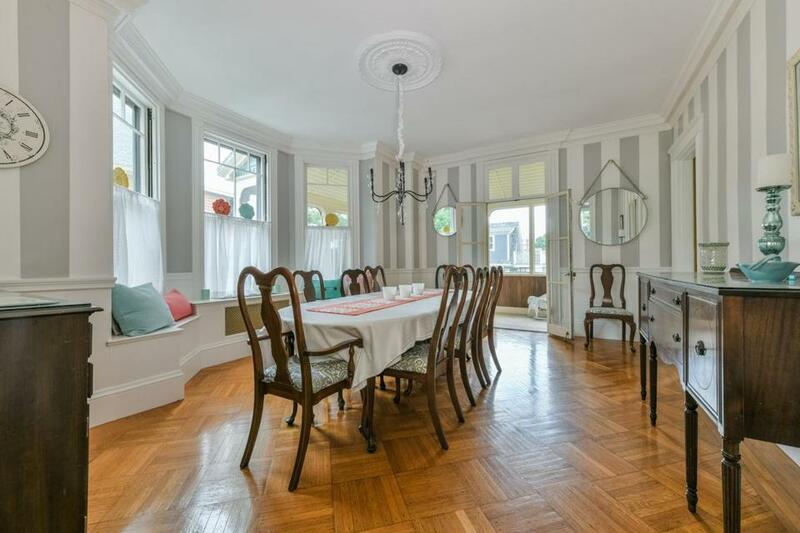 From the formal dining room, with window bench seat, a charming wraparound enclosed porch beckons beyond French doors. Up the wide staircase, four bedrooms (one with fireplace) share a bath; two more bedrooms make up the third floor. Laundry and a workshop are in the basement, with walkout access to a landscaped yard with outdoor shower and patio. CONS While big and cheerful, the kitchen feels a bit dated.